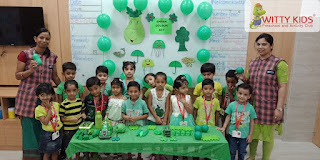 Being amongst the greenery highlights their day. 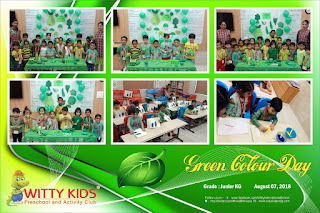 Taking inspiration from beautiful and colorful nature, Witty Kids, R.C. Vyas colony, Bhilwara celebrated 'Green Colour Day' on August 7, 2018 for the kids of Jr. KG. 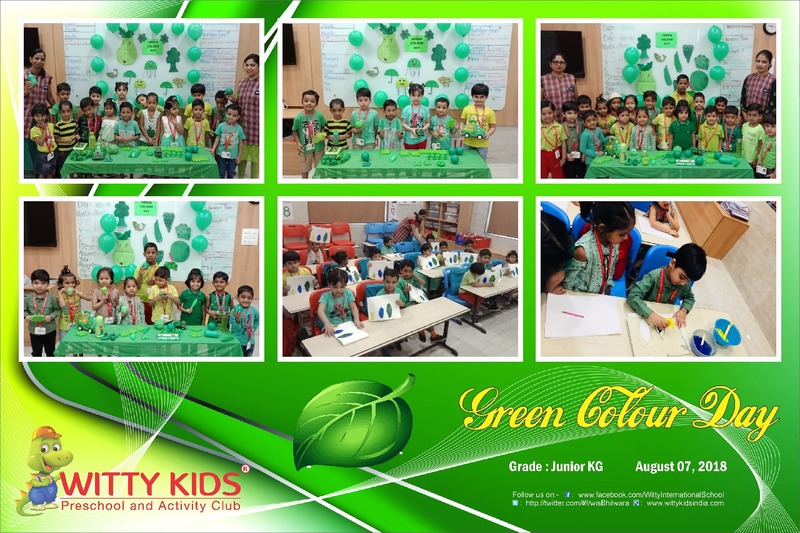 with the aim of inculcating the beauty of colors in kids. 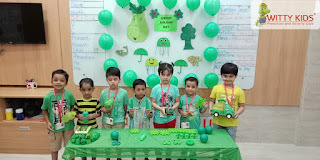 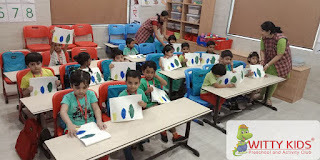 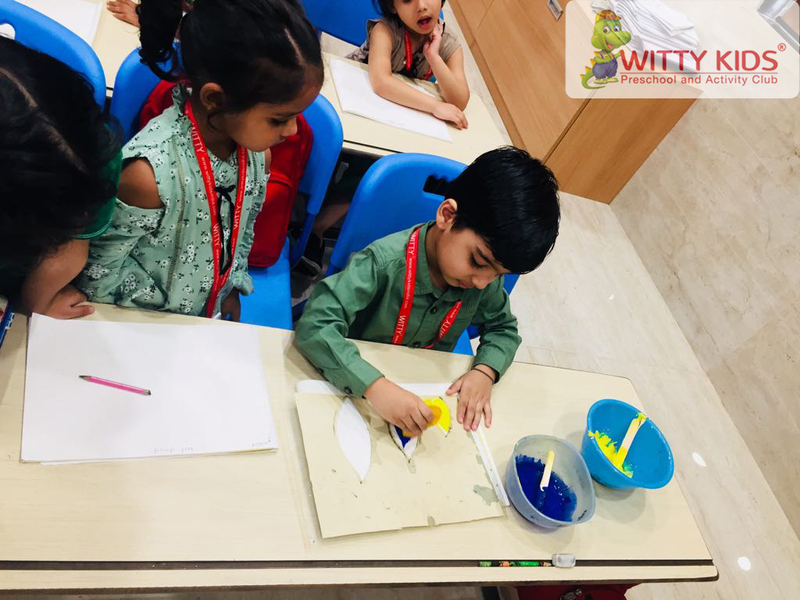 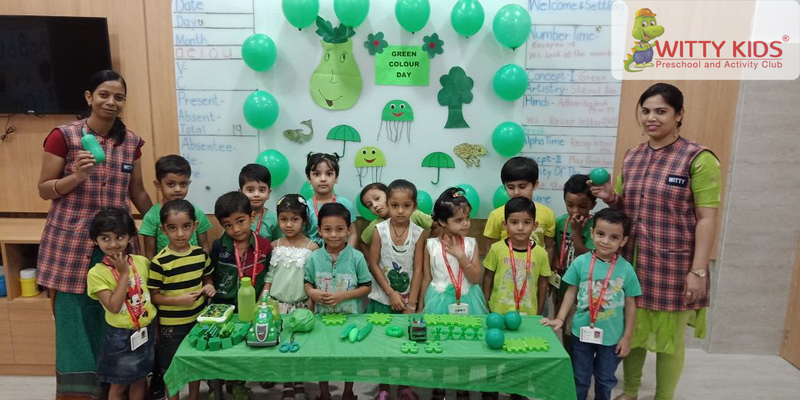 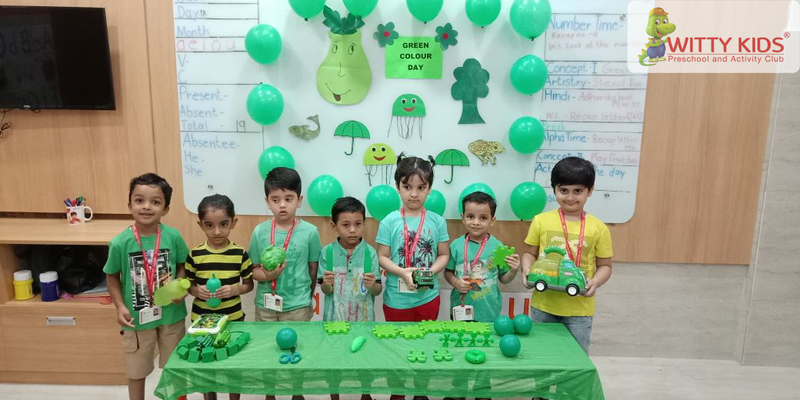 The day was marked with extravaganza of activities keeping in mind that little Wittians should learn to recognize the Green colour with full enjoyment and enthusiasm. 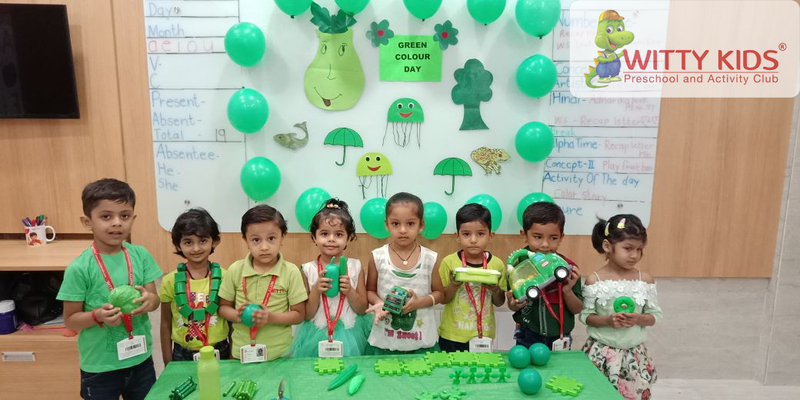 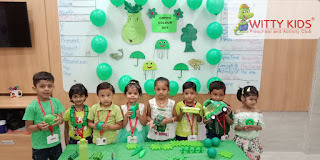 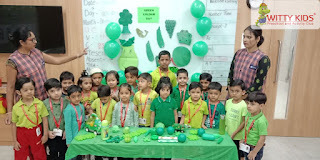 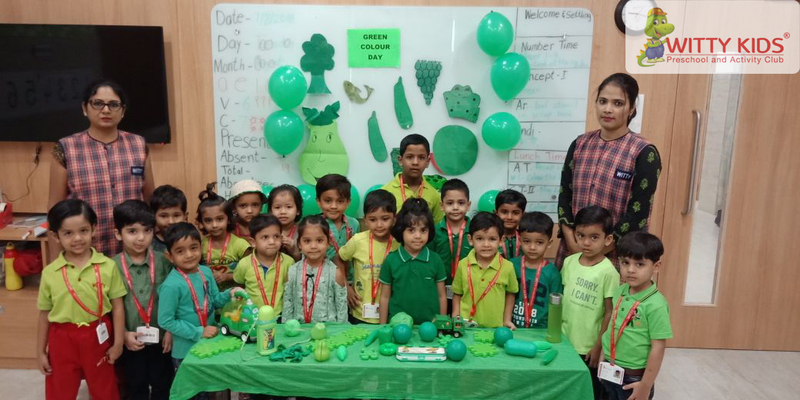 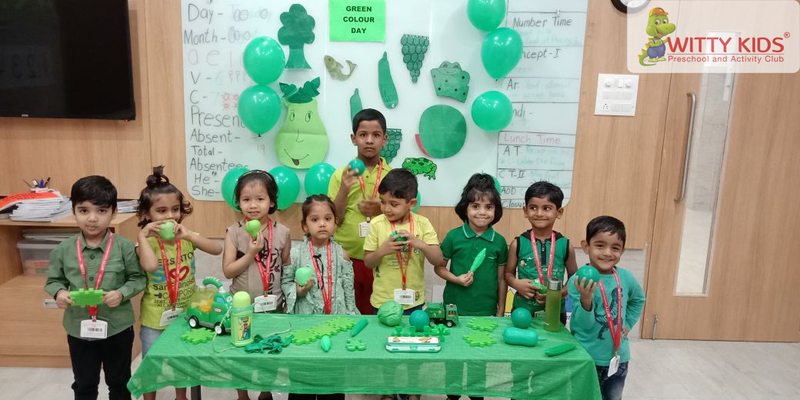 Teachers displayed green coloured objects like vegetables, plants, fruits and toys which little ones observe in day to day life. 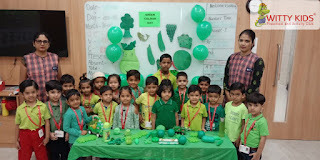 Kids came in Green dresses and brought Green coloured objects from their houses. 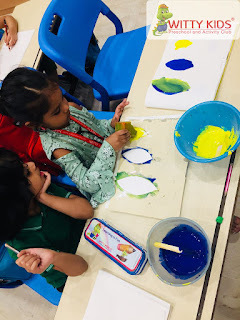 They did sponge dabbing by mixing yellow and blue colour to get Green colour to know that Green is a secondary colour. The teachers explained the importance of eating green vegetables and fruits to them.